You get all your facts together, and then make it into a compelling story. –Carolyn Barth The goal of public relations, and even sales and marketing is to sell a point of view that is compelling to people. When it comes to reverse engineering PR we start with what the public would find compelling or do you starts with facts and find a spin for it? Why do we have to take that approach? What is the magic ingredient that guarantees the success of this process? 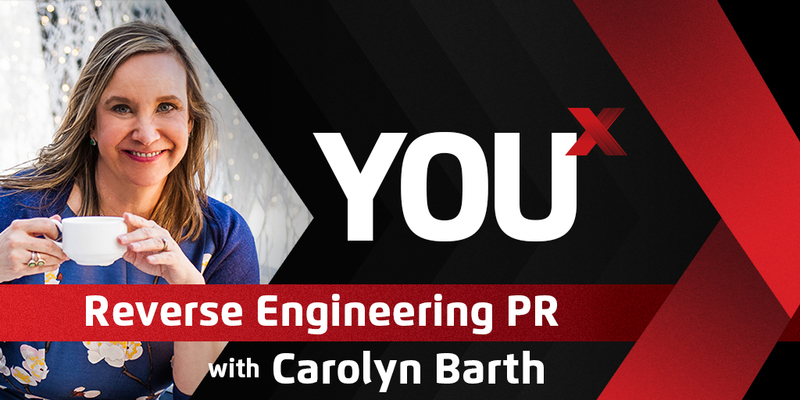 On this episode, PR expert Carolyn Barth, talks about how constraints can help us be more creative, how to find the right big idea that will drive an entire content strategy, and the work she did with the NFL concussion story. About our Featured Guest: Carolyn is the CEO of Digital Content Strategy. She is Content Strategist Storyteller nominated for 11 PR/Marketing awards (8 for Digital PR; 1 for 2018 Chicago Innovation Awards; 1 for 2018 Top Women in Healthcare Marketing; 1 PR News Top PR Women of 2018). Carolyn has put pieces in USA Today, NY Times, etc. Did a lot of work breaking the NFL concussion story to the public. If you want to learn more go to https://digitalcontentstrategy.com/ or connect with Carolyn here https://calendly.com/carolynbarth.